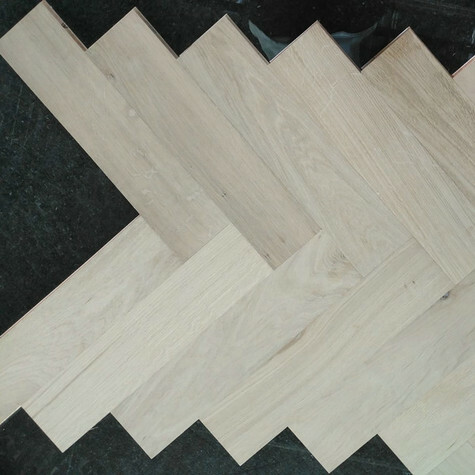 Herringbone flooring, which is also known as parquet block flooring is one of the most distinctive and recognizable hardwood floors. 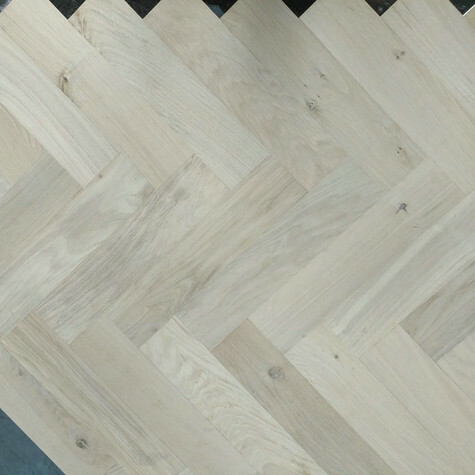 Rather than planks of flooring, the herringbone pattern is made up of smaller blocks of flooring that can be laid in a variety of geometric patterns, with the most common pattern being herringbone. It is important to remember that ‘herringbone’ refers to the pattern and style of flooring and not the color or surface finish. Herringbone flooring can immediately transform any traditional or contemporary space with its luxurious appeal and distinctive character. It is an ideal choice if you want you a durable and long lasting hardwood floor that gives some extra charm and attraction to your home. Choosing our unfinished engineered wood flooring is the perfect option if you have a preferred product for finishing your new floor. Selecting an unfinished wood floor is also advisable If you wish to apply a particular shade or color to your floor.